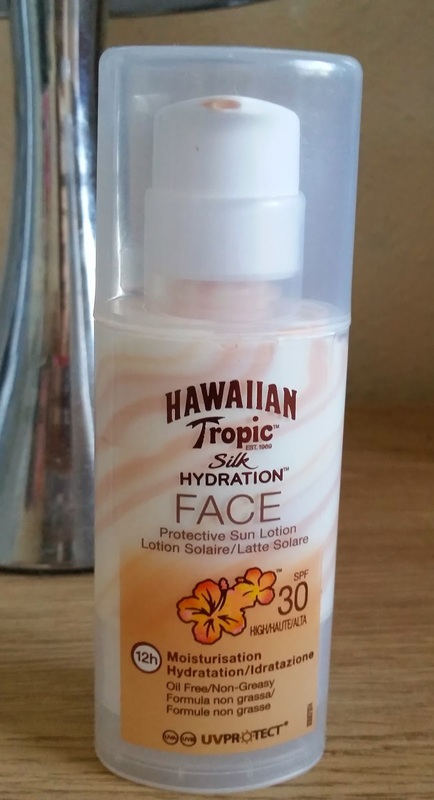 With the sunny weather recently i was looking for a sun block for the face. Sun protection being important and there's loads of products for the body but there wasn't really many that you could use for your face. I spotted this and quickly picked it up to see if this was suitable. They actually do this little bottle in SPF 15 OR SPF 30. So i chose the SPF 30. 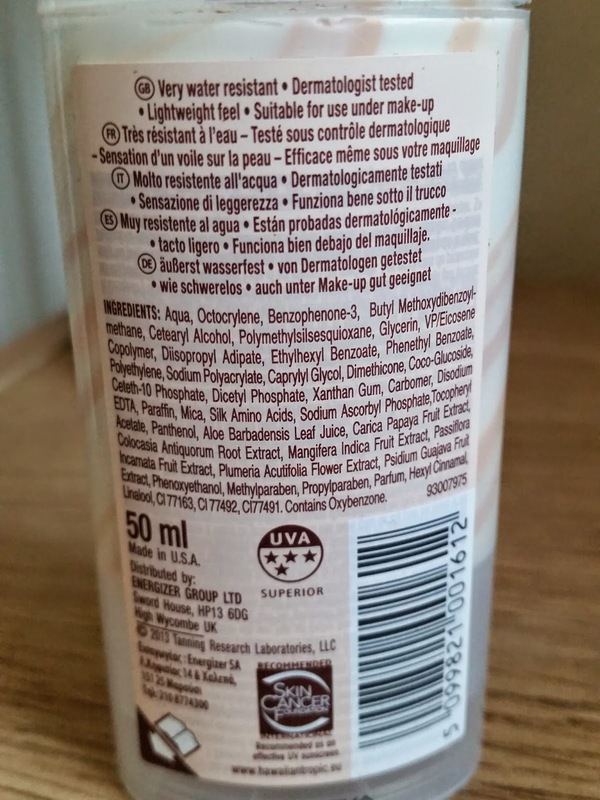 On the front of the bottle it says 12 H Moisturisation. Hydration. Very water resistant . Dermatologist tested. Light weight feel. Suitable for use under make up. The bottle is a pump and was priced around 3.00 pounds which isn't bad for a 50 ml. The cream looks like strawberry ice cream when looking at it in the little bottle and this does have a slight fragrance to it like a coconut light smell. This is a thick cream but absorbs well into the face and doesn't feel sticky and remains matte looking all day. It hasn't broke me out or upset my skin in any way . Don't be put off by the small size of this, a little does go a long way. 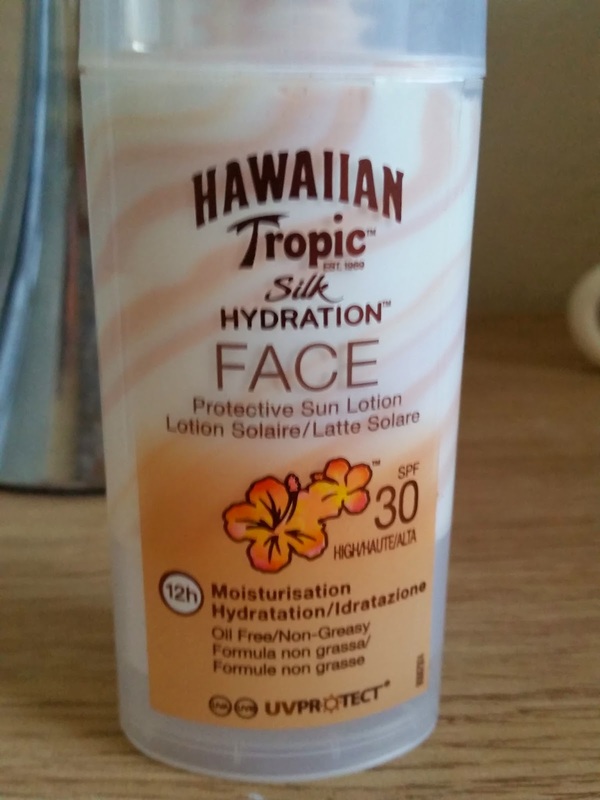 Overall this is a GREAT little sun protector for the face. This is recommended by the skin care foundation international and also recommended as an effective UVA and UVB sunscreen. I will for sure be repurchasing this little gem!